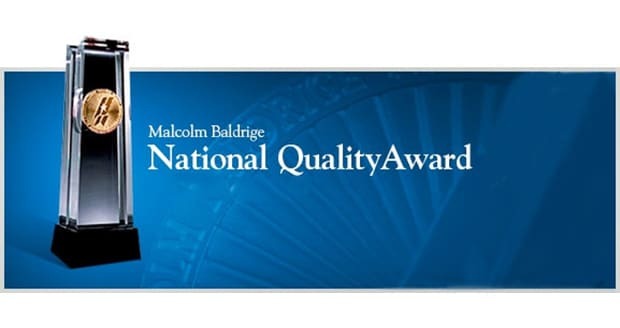 The Malcolm Baldrige National Quality Award is a prestigious award that every U.S. company should strive for. It represents successful quality management, and can be given in retail, small business, service, restaurants, healthcare, and auto dealerships. Many companies do great work, and are valuable to their industry, but to win this distinguished award, there are 7 key areas that the business must excel in. No company succeeds unless it has great leadership. These businesses must show their leadership qualities throughout their organization. On top of all that, they must also be leaders in the community. This shows that the business isn’t just about itself. Continued success means expansion for the organization, as well as the community and its people. There has to be vision involved with each business. Strategy is often the implementation of that vision. The award centers around businesses that put forth tremendous effort and time developing strategies that actually make an impact. Just as leadership flows from the business to the community, understand, your strategy should do the same. All businesses are nothing without their customers. The MBNQA values the relationship between the customer and business. Some businesses see customers as a way to simply make a profit. 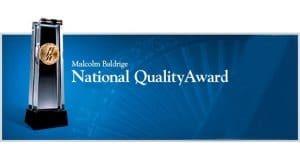 Gaining the Malcolm Baldrige Award means that the business has shown to take the time to build strong, long-lasting, meaningful relationships with its customers. It’s truly about the people and not the organization. Every business plans at both macro and micro levels. Ideas and big pictures strategies are one thing, but analysis is quite another. Businesses that strive for this award must be meticulous in their use of data and the process of management. This ultimately drives performance, so success in these detailed areas usually means the company is a well-oiled machine. Companies and organizations are often thought of as a bunch of guys in suits ruling with an iron fist. But most companies are powered by their hard working employees. Previous Malcolm Baldrige Award winners know this. They treat their employees as valuable arms of the company and push them to be their very best. Empowering your employees shines through for the company and the community. Operations is another area that often goes overlooked and undervalued. This is where the company is designed and then reinvented. Tweaking things and making them better often takes place this sector. The MBNQA looks for those businesses that stay ahead of the curve, leading the industry in new innovations, and welcoming changes. This is the bottom line for most businesses so it’s no shock that the MBNQA values great performances in areas like finance, human resources, customer service, partner performance, and social responsibility. This is a big deal because this area shows exactly how each company stacks up against its competitors.